Bluetooth Mouse Losing Connection No More! I have a Microsoft Bluetooth Notebook Mouse 5000 that I bought when I bought my new Thinkpad with built-in Bluetooth. At the time I was running 64-bit Vista and all was well. Then I upgraded to 64-bit Windows 7, and suddenly the mouse started constantly losing connection. There was no detectable pattern. It would work fine for a while, and then start disconnecting all the time for no apparently reason. Sometimes it would not wake up after sleeping, but sometimes it would quit while I was using it. At first I got it going again by removing the mouse from the list of Bluetooth devices and then adding it back in. That took too much time. Then, by accident, I discovered that I could wake it up by opening my Bluetooth settings and toggling the checkbox “Allow Bluetooth devices to find this computer”. If it was off I’d turn it on, if it was on I’d turn it off. That was faster, but still a pain. I searched the internet and found many similar complaints, but no solutions. Several sites suggested upgrading your Bluetooth drivers. 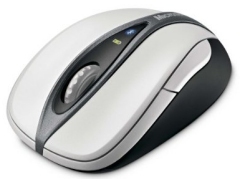 There’s no new driver for the Microsoft mouse, but I updated the Thinkpad Bluetooth drivers. No joy. Then the other day the mouse started quitting on me every few minutes and in desperation I searched again. This time I found the answer. There are two separate settings that need to be changed. Open the Microsoft Management Console (MMC) snap-in for Services. To do this, follow these steps. Double-click the Bluetooth Support service. 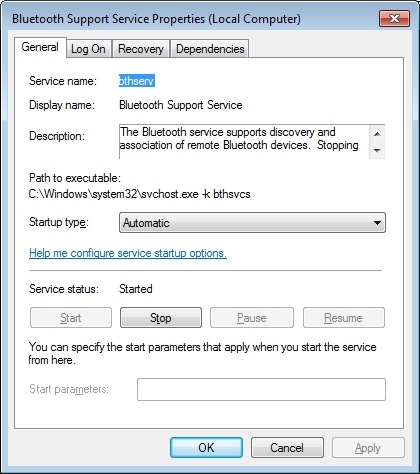 If the Bluetooth Support service is stopped, click Start. On the Startup type list, click Automatic. If you prompted to restart the computer, click Yes. But sadly, my problem wasn’t solved. So then I tried something else. 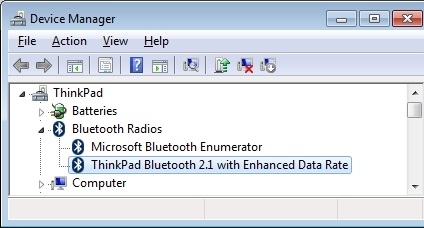 I opened up Device Manager, expanded “Bluetooth Radios”, and double-clicked on the device to open its Properties page – not the enumerator, the device. Go to the Power Management page and clear the checkbox “Allow the computer to turn off this device to save power”. And finally, relief! No more disconnects. 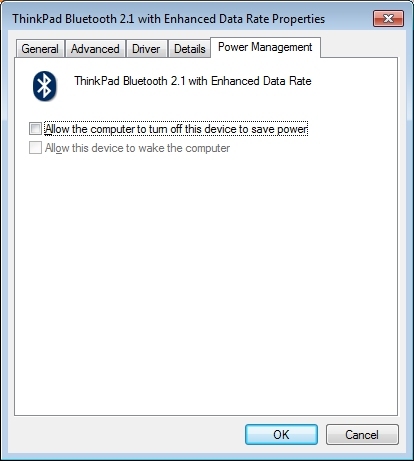 Apparently there is a bug in the power management of the Bluetooth driver under Windows 7. I can’t say for sure that the first step of making the Bluetooth Support Service automatic is necessary, or just turning off power management would fix it. It doesn’t hurt to change it to automatic so I didn’t test this. If you test it, post your results. Are both changes needed, or do you just need to turn off power management to stop losing connection? please change Portege into Portege M700 which is the only Portege still very useful for the purpose written. useful with XP for the purpose written.